My next favorite in this series is a poem I had written for BlogAdda's WOW prompt. It was the first time I was attempting a WOW prompt. I liked this particular prompt since it required us to write a blog post from the perspective of a last tree standing on a deforested land. I wrote this poem in a time span of 3-4 hours and loved the fact how my words flowed with each paragraph as I wrote. I think the topic was instigating enough which didn't need the expressions to be well-planned. 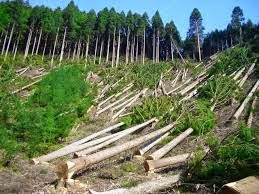 Deforestation is a pressing issue thanks to the huge impact global warming has had on our universe. Always attempt to put in efforts either growing trees and plants in your backyard or at least having few potted plants in your apartment / home. Do you like having plants in your home or backyard ? What are your thoughts on the deforestation issue?